Virgin Media cable subscribers who also happen to be sports fans have been looking enviously at other operators running the new BT sports channels. 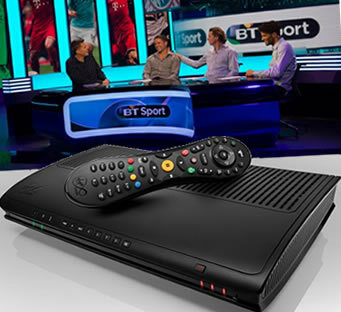 Fast forward a week or so and BT have agreed a deal with Virgin to make the new sports channels available via their set-top box. The deal which runs for 3 years will enable subscribers to Virgin’s most expensive subscription package, access to BT’s three sports channels. Lower tiered subscribers can pay extra to get watching. BT launched their sports channels in August and offer the service free to broadband subscribers. The launch has been somewhat of a success, netting BT over one million subscribers since taking orders in May. The deal is said to be costing Virgin Media around £75m per year for the three year deal, and means that Virgin can offer sports channels from both BT Sport and Sky sports.